Browse below for our quality range of wholesale candle holders, candle lamps and accessories. Special pricing is available for verified Australian business customers. Are you looking for unique and stunning venue lighting? 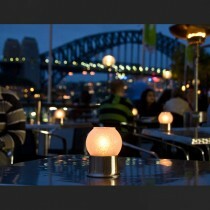 Do you you want to bring the beauty and ambiance of real candlelight to your café, bar, club or restaurant? Cool Candles leads the Australian market in supplying top-quality wholesale candle holders, candle lamps, tea light holders, votive holders and accessories. From simple frosted tumblers to elegant glass globes with mix-and-match bases, our range of glass candle holders is sure to add the perfect finish to your tables. 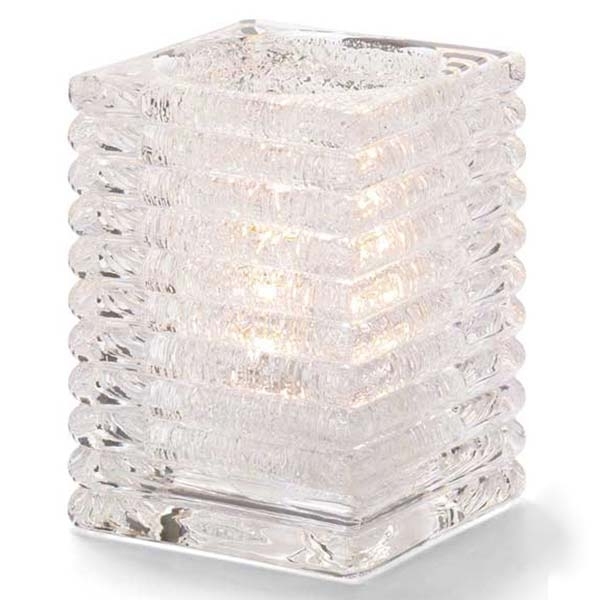 We carry a wide range of glass candle lamps suitable for pillar candles, tea lights and votives, and LED candles. Our glass candle holders come in a variety of colours, from clear glass to the popular ruby and amber shades. You can also choose between styles like frosted, mosaic, jewel finish, and more. An especially popular product line! Like a rising moon, the beautiful glass globe shade brings a striking elegance to any venue. With a variety of economy and luxury base options, you can also choose the ideal combination for your style and budget. 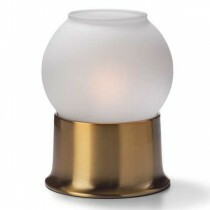 Our globe candle lamps work excellently as tea light holders or votive candle holders. Depending on your choice of base, they are also perfect for some of our larger fuel cells. Truly, our globe lamp candle holders look spectacular in any setting. Compact and convenient, but still stunning on your table! Fitting close to the shape of a traditional candle, cylinder candle lamps are a great choice for when you have limited table space available. Choose glass for stylish look and feel, or robust acrylic for maximum durability and safety. We carry an expansive range of cylinder lamps for differently sized light sources. Our "mini" cylinder lamps are ideal for tea light and votive sized candles, while our large cylinder lamps can even fit pillar candles! Mini lamps are also a perfect fit for many of our liquid candle fuel cells. 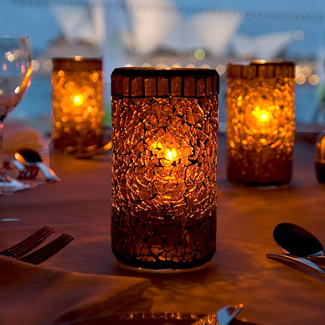 Small enough to fit almost anywhere, tea lights and votives are especially popular choices for table lighting. Naturally, Cool Candles offers a wide range of tea light holders and votive candle holders. Our tea light holders will help you make the most of this convenient light source. While they can fit larger candles, most of our other lamps also look fantastic with a tea light or votive. Our LED candles and liquid disposable fuel cells are also available in standard tea light sizes, so you can always pick the best light source for your requirements. A great choice for a modern, contemporary look. Our square candle holders include a wide range of colours and sizes suitable for tea lights, liquid candle fuel cells, or even LED candles. Choose from panelled lanterns, layered louvre designs, ribbed solid glass and more. If you want your venue to have a refreshing modern feel, then our square candle holders are just what you’re looking for! Looking for something especially distinctive? We carry a selection of unique wholesale candle holders and lamps in shapes you won’t see every day. Sized for tea lights, LED candles, liquid fuel cells and even pillar candles, these unconventional lamps are sure to stand out in any setting. Is safety your top priority? Or perhaps you’re just expecting your guests to put your lamps through a beating. 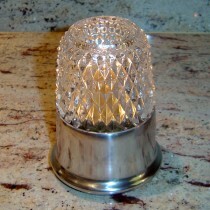 If you’re after robust, highly durable candle holders, then our acrylic range is perfect for you. Our acrylic wholesale candle holders are colourful, versatile, and ready to stand up to whatever your clientele put them through. We also have a selection of candle and lamp accessories. Here you will find lighters, wind diffusers, and other useful items to help you get the most out of our candle holders. Whatever atmosphere you want to create, our range of candle holders and lamps has what you need at a great price. Verified Australian business customers get even better value, with wholesale rates on bulk orders. So for the best in wholesale candle holders, contact Cool Candles today!